Editor's Note: Today TNR begins a series of items examining the details of Governor Mitt Romney's policy agenda. First up is the economy—specifically, how Romney proposes to boost growth and employment. Later installments will look more closely at Romney's plans to change the tax code and his ideas about organized labor, as well as other proposals including health care and energy. Will anybody pay attention to policy quesitons like these? We hope so. Substance doesn't always get the attention it should in presidential campaigns. But in this election, the differences between the candidates seem more stark, and more important, than at any time in recent history. What Romney would do: Cut taxes and regulations, shrink government, undo pretty much the entire Obama agenda, and stick it to labor. The Good: Using independent boards of experts to assign federal research dollars. Allowing more highly skilled immigrants to work and stay in the country. Getting tough with China, assuming it’s done right. The Bad: Requiring congressional approval of all “major” regulations, apparent reductions in funding of productive investments like education and infrastructure. The Ugly: Capping total federal spending at 20 percent of GDP, with 4 percent reserved for defense—a potentially devastating reduction in government services that, if implemented swiftly, could also deal a serious economic blow. Then again, his numbers don’t really add up, so who knows what he’d really do? The Verdict: The focus on lower taxes and regulation will appeal to conservatives who see those as major impediments to long-term growth. The lack of investment in education, infrastructure, and technology will worry everybody else. In some ways, the real story is what’s not here: Proposals designed specifically to boost growth in the short run, despite still-high unemployment. If Mitt Romney has his way, the general election will be just like the one Bill Clinton won in 1992: It’ll be about the economy, stupid. And you can understand why. A recovery is underway but it’s tentative and weak. Large numbers of Americans remain out of work, not to mention the many more who have jobs but still struggle to pay bills. Romney’s pitch to these people is simple and compelling: Hire me, and somebody will hire you. More important, Romney has made some promises that don’t seem possible to fulfill. A central theme of his economic policy is a promise to reduce federal spending dramatically, quickly capping federal spending at 20 percent of GDP and setting aside 4 percent of GDP for defense spending—numbers that would, as the Center on Budget and Policy Priorities has observed, imply a downsizing of government even more dramatic than the one House Budget Chairman Paul Ryan has endorsed. But if you look past those contradictions and omissions (don't worry, I'll come back to them another day) you will see the outlines of a familiar conservative agenda that, most likely, would guide Romney’s decisions about economic policy. Reducing regulation? Check. Lowering taxes? Check. Shifting authority from Washington to the states? Check. Supposedly this will boost investment and business confidence, unleashing prosperity. If that sounds like trickle-down economics all over again, that’s because it is. Romney's agenda does have one surprise, however. For all of his talk about how much people are struggling right now, he’s not proposing ideas designed specifically to improve the economy in 2012 or 2013. His premise is that the long-term agenda will take care of the short-term problems—and that attempting to do more right away, as President Obama has proposed with his own jobs bill, will only make matters worse. How you feel about this agenda will depend, to great extent, on what you think of what’s become mainstream economic thinking among conservatives. Consider Romney’s proposal to replace the existing unemployment insurance program with a system of private accounts, into which workers would deposit money they could withdraw for retraining or just sustaining themselves during periods of joblessness. Conservatives have long argued that unemployment insurance discourages the jobless from finding work; according to this argument, personal accounts would remove that disincentive while enabling more individuals to take advantage of training they would find useful. Liberals question the evidence behind the conservative critique and worry that a system of private accounts would be less reliable, leaving many more unemployed workers in serious financial difficulty. It's the same basic story with the broader ideas in Romney’s agenda. Do you think taxes retard growth more than, say, an undereducated workforce? Do you think Bush-era policies did more to cause our economic problems than Obama-era polices? Etc. And while I'm not precisely qualified to answer those questions, I know a few people who are. One of them is Jesse Rothstein, an economist at Berkeley, who wrote a widely-cited paper testing the hypothesis that unemployment insurance discourages people from seeking jobs. His method was to study extensions of unemployment insurance to 99 weeks during this recession. His conclusion? The overall affect on unemployment was to raise it by no more than one-tenth of one percent—in other words, it had virtually no effect. Another person qualified to answer these questions is Paul Krugman, who noted recently that "the economic record certainly doesn’t support the notion that superlow taxes on the superrich are the key to prosperity. During that first Clinton term, when the very rich paid much higher taxes than they do now, the economy added 11.5 million jobs, dwarfing anything achieved even during the good years of the Bush administration." MIT's Peter Diamond and Berkeley's Emmanuel Saez take the same essential view. Writing in the Wall Street Journal, they recently observed that "In the postwar U.S., higher top tax rates tend to go with higher economic growth—not lower." Yes, they said, taxes can slow growth. But they'd have to be a lot higher than they are now and a lot higher than virtually anybody is currently proposing. I don't expect a lot of specificity from a presidential candidate. I'm looking for a framework, a road map. And it seems undeniable that Gov Romney's road map leads this economy right back over the supply-side, trickle-down, deregulatory cliff from which we're still climbing back. To be clear, not quite everything in the Romney economic agenda breaks down along such clean left-right lines. Romney says, for example, that the government should channel its research in energy technology through programs such as “ARPA-E.” That’s a reference to the Advanced Research Projects Agency-Energy, which operates more or less as the government’s in-house venture capital firm on green investment. It’s a knockoff of a similar agency that’s operated for decades within the Pentagon, spawning research that led to global positioning devices and the internet, among other things. (Michael Grunwald has written about this for Time magazine.) President Bush signed the law creating it, but it was President Obama who funded the program and has (along with Vice President Biden) been its most vocal champion. Then again, whether Romney would also put money into research remains very much an open question, given his determination to radically reduce government spending overall. Romney has also backed off one of his promising promising proposals—linking the minimum wage to inflation, so that it rises automatically with the cost-of-living—although he hasn’t, as best as I can tell, specifically repudiated it. …while Romney’s plan has an admirable quantity of detail, it does not contain all the right details. Many of the ideas in Romney’s plan, from tax reform to free trade to revamping job training, are good. But they would also have been good ideas in 2007. What Romney’s plan lacks are ideas that relate to the housing bubble and the prolonged economic crisis that it sparked. Amazingly, none of Romney’s 59 economic proposals addresses housing policy or monetary policy. 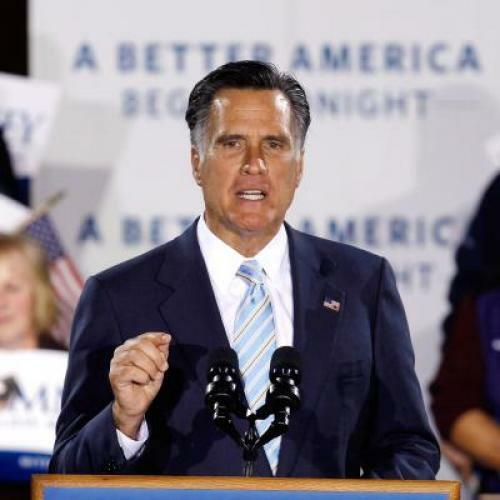 A President Romney would take office in January 2013, at a time when even on a best-case scenario more than 10 million Americans will still be unemployed or under-employed, more than half of them for a very long time. What to do for them? On this urgent topic, the plan falls dismayingly quiet. Even if Romney’s policies do raise the long-term growth rate of the United States beginning sometime about 2014, unemployment won’t return to normal levels until a Romney second term. That portends almost a decade of very high unemployment. Here your question appears to be based on an idea that the "short run" and the "long run" are different subjects. That is another underpinning of recent policy errors. Getting the long-term right (e.g., a credible and stable path of tax rates instead of periodic Taxmageddons, entitlement reform instead of a spending binge, and regulatory stability instead of regulatory uncertainty) would encourage investment and consumption today. Such long-term action would also give breathing room for properly done short-run action. 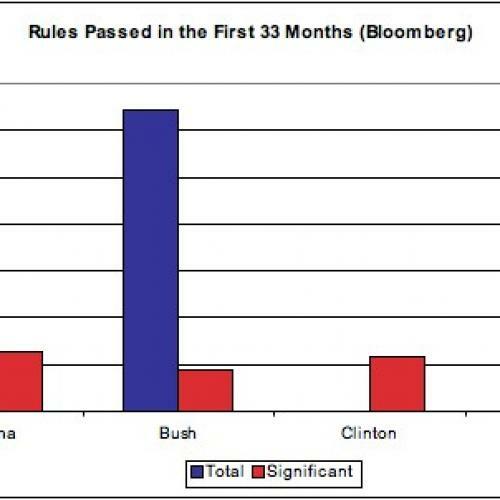 Hence, it is no accident that Romney has focused on the right long-term policy. If you want to take a look at the real-world consequences of policy uncertainty, you might consider the research by Nick Bloom (Stanford) and Steve Davis (Chicago), which concludes that returning to pre-financial-crisis levels of policy uncertainty would lead to 2.3 million additional jobs over 18 months. There's a certain logic, or at least a consistency, to this argument. Hubbard is among those who have argued that the Recovery Act was a failure and that new efforts at stimulating growth, of the sort President Obama has been promoting since last fall, will fare no better. But most independent forecasters, as well as respected non-partisan authorities like the Congressional Budget Office, take a different view. They believe the Recovery Act kept the recession from getting much worse. It may have been too small, it may have had some design flaws, but overall it created jobs and probably quite a lot of them. That was also the consensus opinion of nine leading studies that Dylan Matthews surveyed for the Washington Post last year. It's possible that Romney and his advisers simply disagree. To some extent, I'm sure, they do. But I suspect something else is also going on here: Romney has driven himself into an ideological cul-de-sac. In order to win the election and, more immediately, to satisfy the extremist instincts of Republican Party primary voters, Romney has been disavowing not just the Recovery Act but the Keynesian logic behind it (i.e., that expansionary fiscal policy can boost growth during a downtown). Like the rest of the Republican field, he’s been promising to focus immediately on deficits, starting with a 5 percent reduction in discretionary spending. Presumably they would come on top of cuts already signed into law. Romney parses his statements carefully (something else he seems to have learned from Clinton) and, as Krugman has observed, Romney has on occasion acknowledged that too much focus on austerity might be damaging to growth. That suggests that, like Hubbard and fellow Romney advisor Gregory Mankiw, Romney doesn't completely reject the premises of Keynesian economics. But having helped turn “stimulus” into a bad word, he’s implicitly taken a lot of policy options off the table. And that may be true even of initiatives that wouldn’t look just like the Recovery Act. Focusing on housing and monetary policy, Barro's proposed alternatives, are as anathema on the right these days as stimulus spending and health care reform. It’s possible Romney’s blueprint for the economy is more about posturing than policy-making—that he actually has a “secret plan,” as Barro wrote, to give the economy immediate helps once he gets to office. And maybe, just maybe, he’ll start to introduce that plan soon, now that the primaries are over. But would Romney actually move on such plans in office? And if he did, would they really make a difference? On both counts, there's reason to be skeptical. Update: I modified the wording in a few places and introduced a few more cites to actual economists, who surely are more qualified to make these judgments than I am.